Forward thinkers were some of the first environmentalists. 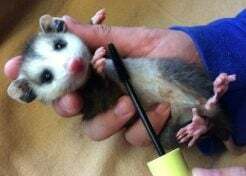 Nowadays, most of us recycle. As always, one person’s trash is another person’s treasure. Some people are just more creative than others, while some folks are a bit bizarre. 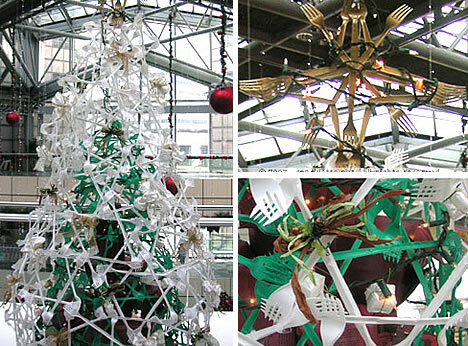 Before tossing out your trash, take a look at these 18 creative and clever Christmas trees made with recycled materials. 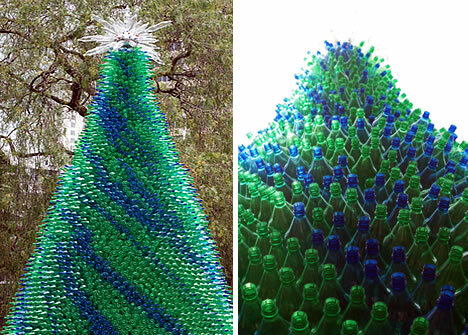 It’s a reoccurring theme to see trees made from recycled plastic bottles. 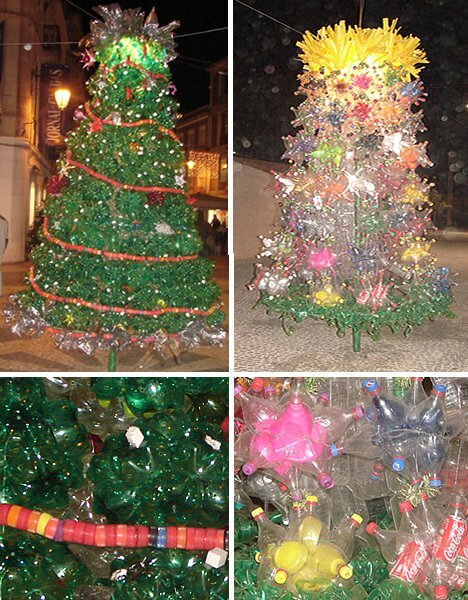 In Caldas da Rainha, Portugal, these Christmas trees were created with discarded trash. The lights were strung as well as tinsel made from the bottle caps. Then these trees were proudly on display within the city. 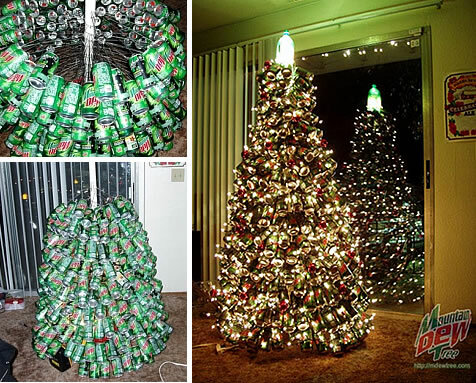 Curious what else you can do with approximately 400 Mountain Dew cans? 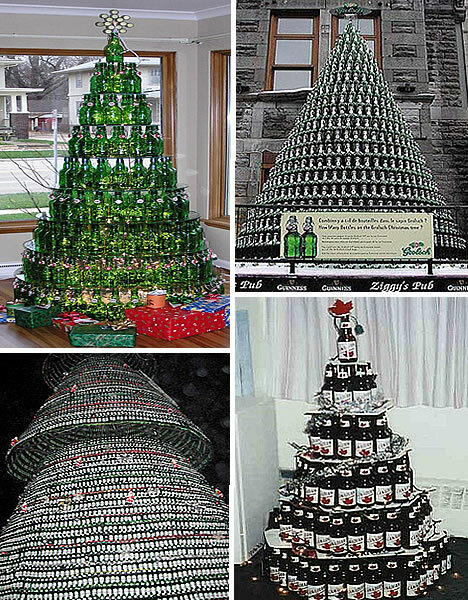 Well the creator of this tree saved three months of soda drinking cans and spent four days constructing this Christmas tree. He used PVC pipe for the trunk, construction markers for the branches and drilled the pipe to fit the construction flags. The end result is quite striking. This tree was made from plastic forks. Even the star on top is made from pointy plastic utensils. Keep this in mind before you throw out those disposable forks and spoons. Finally, there may be something worthwhile to do with your sporks. These Christmas trees have been created from postcards, magazines, books and even shredded paper. 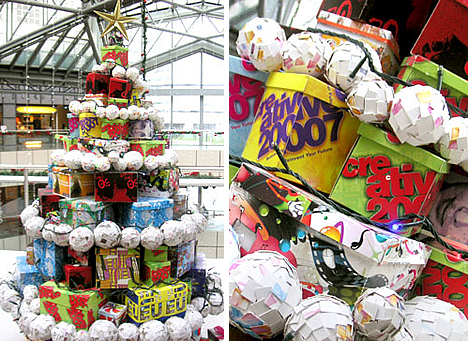 The top gift tree was created by cutting and folding postcards into gift boxes and then layered to form a tree. Too many magazines on your hands? 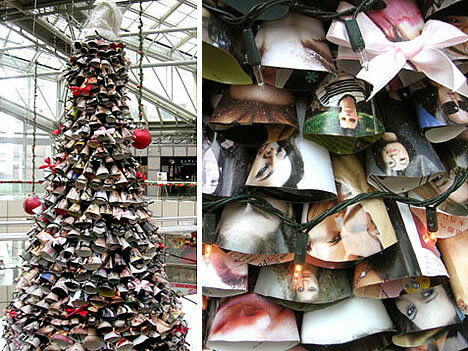 The middle tree was constructed from hundreds of magazine face cutouts, folded and then arranged in a tree shape. If you like white Christmas trees, make use of your shredded papers. 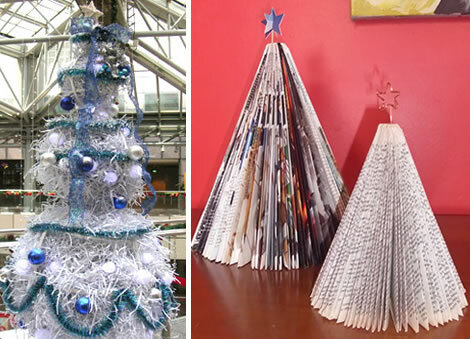 Another way to use magazines and books when you are done is to fold them into Christmas tree shapes like on the bottom right. The aluminum can has long been a recycled item. If you like shiny trees, however, consider chopping up those cans. 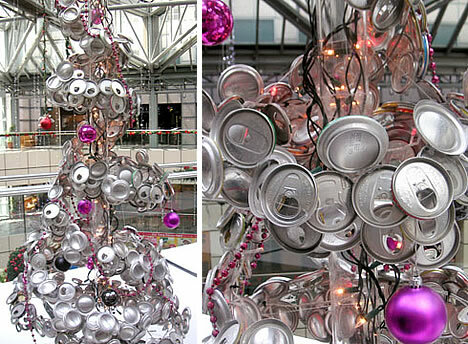 This Christmas tree was constructed from sliced tops and bottoms of many cans. Perhaps you are not a big fan of plastic or aluminum. Perhaps you like your beer from a bottle? 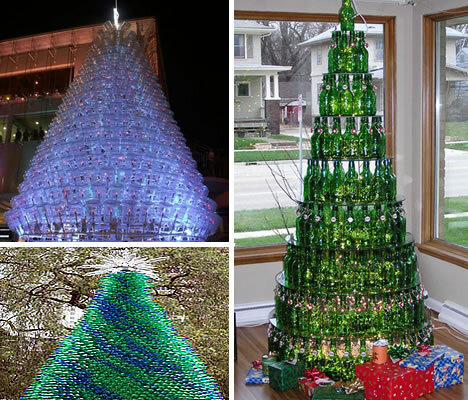 These creative Christmas trees were made with glass beer bottles. 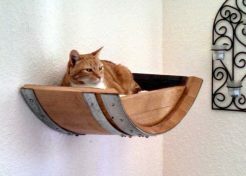 In fact, wine or hard liquor bottles could be used. It had better be one giant party or else the makers of these cool trees would suffer from many wicked hangovers. If you have a computer graveyard or perhaps only spare circuit boards, you could try your hand at making a technotree. 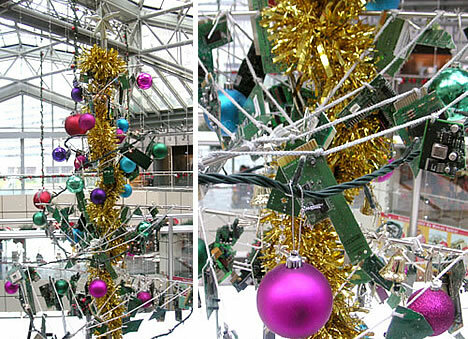 This Christmas tree was created with white ropes, dead computer parts, tinsel and ornaments. Why stop there though? Motherboards and other circuitry can be repurposed into geeky wonderful ornaments. 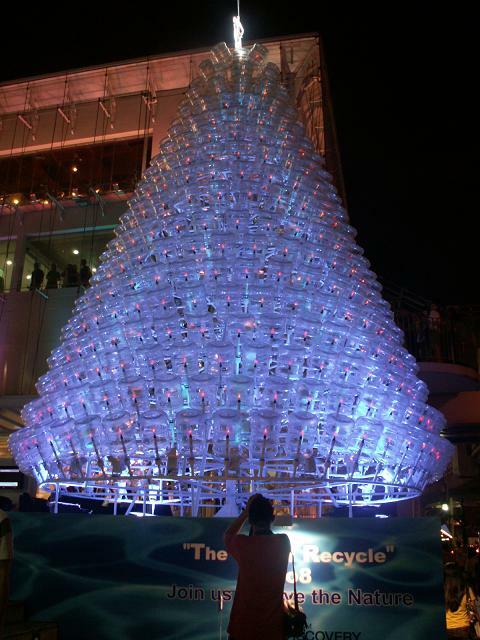 In Sydney, Australia, this truly “green” tree was constructed from green plastic bottles. The blue effect was made by leaving the lids on some of the bottles. This Christmas tree is both environmentally friendly and clever. 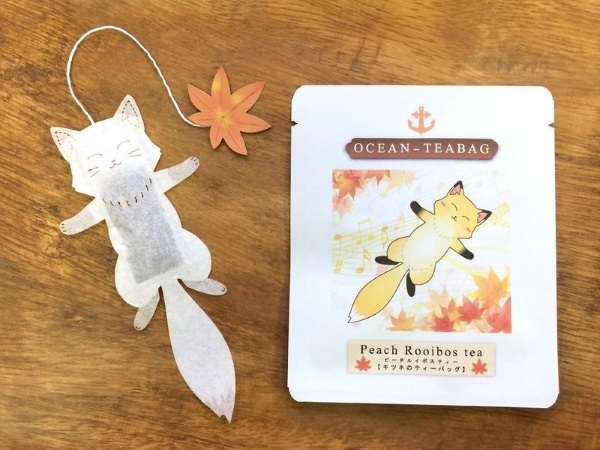 In fact, it looks pretty cool. 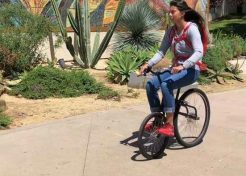 Who says sustainable awareness cannot also be attractive? 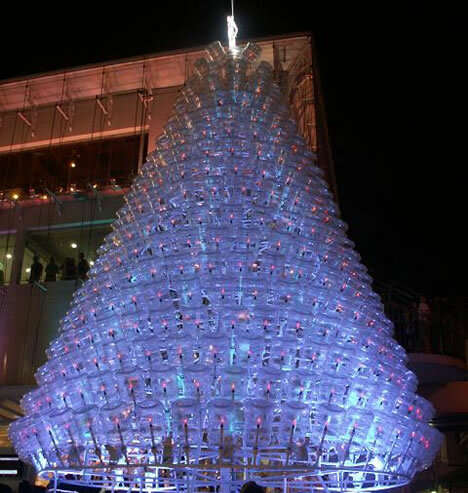 This massive Christmas tree was constructed with five gallon water bottles and PVC pipe. Some trees made from recycled materials are stuck somewhere between a stroke of creative brilliance and straight up bizarre. 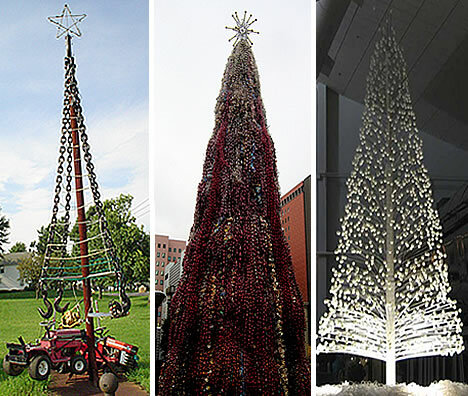 On the left, the tree is made from a collection of various farm, railroad, and engine equipment such as two chainsaws, two lawnmowers, huge hooks and chains. In the middle, the Christmas tree was created with used or otherwise unneeded pacifiers. Lastly, the Christmas tree on the right is made from 1,500 ping-pong balls.